Various Artists : 80s Groove: Old Skool Funk Soul Classics CD (2010)Title: 80s Groove: Old Skool Funk Soul Classics Artist: Various Artists Genre: Dance|Compilation Format: CD / Album Type: CD No. of Discs: 3 disc(s) Studio / Label: Ministry of Sound UK Release Date: 26 Jul 2010. Various Artists : Anthems Trance CD (2013)Title: Anthems Trance Artist: Various Artists Genre: Dance|Compilation Format: CD / Album Type: CD No. of Discs: 3 disc(s) Studio / Label: Ministry of Sound UK Release Date: 11 Nov 2013. Of Discs: 2 disc(s) Studio / Label: Ministry of Sound UK Release Date: 05 Feb 2016 Explicit Lyrics: Yes. Disc 1 20 Straight Flush. Disc 1 15 Slang Like This. Disc 2 20 Ghetto Kyote. Disc 2 19 M.E.N. Disc 2 18 Are You Really from the Ends. Various Artists : The Annual 2011 CD (2010)Title: The Annual 2011 Artist: Various Artists Genre: Dance|Compilation Duration: 229.08 mins Format: CD / Album Type: CD No. of Discs: 3 disc(s) Studio / Label: Ministry of Sound UK Release Date: 01 Nov 2010. Basshunter : Now You're Gone - The Album CD (2008)Title: Now You're Gone - The Album Artist: Basshunter Genre: Dance|Electronica Duration: 55.30 mins Format: CD / Album Type: CD No. of Discs: 1 disc(s) Studio / Label: Hard2Beat UK Release Date: 14 Jul 2008. Various Artists : The Annual 2013 CD (2012)Title: The Annual 2013 Artist: Various Artists Genre: Dance|Compilation Format: CD / Album Type: CD No. of Discs: 3 disc(s) Studio / Label: Ministry of Sound UK Release Date: 19 Nov 2012. Various Artists : I Love House CD (2015)Title: I Love House Artist: Various Artists Genre: Dance|Compilation Format: CD / Album Type: CD No. of Discs: 3 disc(s) Studio / Label: Ministry of Sound UK Release Date: 13 Apr 2015. Various Artists : The Mash Up Mix 2009: Mixed By the Cut Up Boys CD (2009)Title: The Mash Up Mix 2009: Mixed By the Cut Up Boys Artist: Various Artists Genre: Dance|Compilation Format: CD / Album Type: CD No. Zed Bias Neighbourhood – Neighbourhood. Jaheim Just In Case Dub-a-holics Roller’s Revival Mix – Just In Case (Dub. Dem 2 Destiny – Destiny. The Nightcrawlers Push The Feeling On MK Dub of Doom – Push The Feeling On (MK Dub of Doom). ). Various Artists : The Sound of Deep House CD (2013)Title: The Sound of Deep House Artist: Various Artists Genre: Dance|House Format: CD / Album Type: CD No. 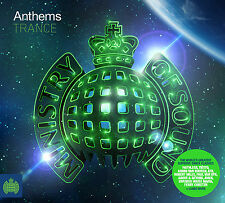 of Discs: 2 disc(s) Studio / Label: Ministry of Sound UK Release Date: 29 Apr 2013. Of Discs: 2 disc(s) Studio / Label: Ministry of Sound UK Release Date: 22 Aug 2011. Disc 1 22 Swish 4.39 mins. Jessie Ware) 4.38 mins. Disc 1 14 Trouble in the West 5.40 mins. Disc 1 9 Don't Go (Feat. Various Artists : Anthems: Alternative 80s CD (2011)Title: Anthems: Alternative 80s Artist: Various Artists Genre: Dance|Compilation Format: CD / Album Type: CD No. of Discs: 3 disc(s) Studio / Label: Ministry of Sound UK Release Date: 28 Nov 2011. Various Artists : Rewind: The 80s Album CD (2014)Title: Rewind: The 80s Album Artist: Various Artists Genre: Dance|Compilation Format: CD / Album Type: CD No. of Discs: 3 disc(s) Studio / Label: Inspired UK Release Date: 04 Aug 2014. Various Artists : The Chillout Session CD (2012)Title: The Chillout Session Artist: Various Artists Genre: Dance|Compilation Format: CD / Album Type: CD No. 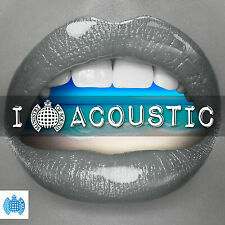 of Discs: 3 disc(s) Studio / Label: Ministry of Sound UK Release Date: 23 Jul 2012. Various Artists : The Annual 2012 CD (2011)Title: The Annual 2012 Artist: Various Artists Genre: Dance|Compilation Format: CD / Album Type: CD No. of Discs: 3 disc(s) Studio / Label: Anjunabeats UK Release Date: 14 Nov 2011. Various Artists : Jungle Classics CD (2011)Title: Jungle Classics Artist: Various Artists Genre: Dance|Compilation Format: CD / Album Type: CD No. of Discs: 2 disc(s) Studio / Label: Ministry of Sound UK Release Date: 26 Dec 2011. 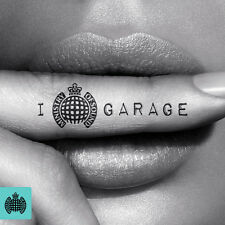 Of Discs: 3 disc(s) Studio / Label: Ministry of Sound UK Release Date: 28 Jan 2013. Disc 1 1 Hip Hop Hooray. Disc 1 13 Humpty Dance. Disc 3 13 Lean Back. Disc 2 7 Throw Ya Gunz. Disc 2 9 Flava in Ya Ear (Feat. ). ORIGINAL CD IN EXCELLENT CONDITION. S263 / w275. Various Artists : Anthems: Drum & Bass CD (2015)Title: Anthems: Drum & Bass Artist: Various Artists Genre: Dance|Compilation Format: CD / Album Type: CD No. of Discs: 3 disc(s) Studio / Label: Ministry of Sound UK Release Date: 09 Feb 2015 Explicit Lyrics: Yes. Big Tunes CD (2004)Title: Big Tunes Genre: General|tbc Duration: 158 mins Format: CD / Album Type: CD No. of Discs: 2 disc(s) Studio / Label: Ministry of Sound UK Release Date: 20 Sep 2004. 1 14 F k It (I Dont Want You Back)-Florida Inc. Various Artists : Running Trax Gold CD (2011)Title: Running Trax Gold Artist: Various Artists Genre: Dance|Compilation Format: CD / Album Type: CD No. of Discs: 3 disc(s) Studio / Label: Ministry of Sound UK Release Date: 26 Dec 2011. Of Discs: 3 disc(s) Studio / Label: Ministry of Sound UK Release Date: 30 Jan 2012 Explicit Lyrics: Yes. Disc 2 3 Can't Knock the Hustle (Feat. Mary J. Blige). Disc 2 15 Flow Joe. Disc 3 18 We Fly High (Ballin'). 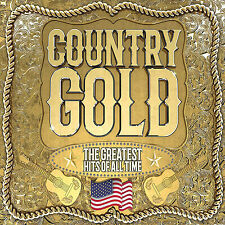 ORIGINAL CD IN EXCELLENT CONDITION. 3072 / 3046O. Various Artists : Addicted to Bass 2014 CD (2014)Title: Addicted to Bass 2014 Artist: Various Artists Genre: Dance|Compilation Format: CD / Album Type: CD No. of Discs: 3 disc(s) Studio / Label: Ministry of Sound UK Release Date: 07 Apr 2014. Of Discs: 3 disc(s) Studio / Label: Ministry of Sound UK Release Date: 30 Jun 2008. Disc 3 4 Night Flight 3.55 mins. Disc 1 11 Ra (Original Sin Remix) 2.08 mins. Disc 1 17 The Circle 3.33 mins. Disc 2 9 It's On the Way 2.18 mins. Basshunter : Bass Generation CD (2009)Title: Bass Generation Artist: Basshunter Genre: Dance|Electronica Duration: 90.52 mins Format: CD / Album Type: CD No. of Discs: 2 disc(s) Studio / Label: Hard2Beat UK Release Date: 28 Sep 2009. 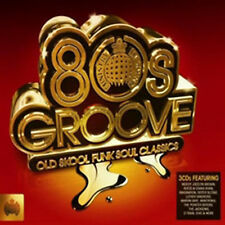 Of Discs: 3 disc(s) Studio / Label: Ministry of Sound UK Release Date: 04 Mar 2013. Disc 1 7 Last Night a DJ Saved My Life. Disc 1 20 Thunder in My Heart. Disc 1 18 Young Hearts Run Free. Disc 2 10 Rhythm of the Night. (London Grammar : If You Wait CD (2013)Title: If You Wait Artist: London Grammar Genre: Rock/Pop|Electronic Format: CD / Album Type: CD No. London Grammar). Disc 1 11 If You Wait. Disc 2 6 When We Were Young. Of Discs: 3 disc(s) Studio / Label: Ministry of Sound UK Release Date: 31 Mar 2014. Disc 2 3 Sweet Harmony. Disc 3 20 Re-rewind (The Crowd Say Bo Selecta) [feat. Craig David]. Disc 3 19 Sincere. Disc 3 18 Incredible (Feat. ). Various Artists : The Mash Up Mix Bass CD (2011)Title: The Mash Up Mix Bass Artist: Various Artists Genre: Dance|Compilation Format: CD / Album Type: CD No. of Discs: 2 disc(s) Studio / Label: Ministry of Sound UK Release Date: 02 May 2011 Explicit Lyrics: Yes. Various Artists : Euphoria 2011 CD (2011)Title: Euphoria 2011 Artist: Various Artists Genre: Dance|Compilation Format: CD / Album Type: CD No. of Discs: 3 disc(s) Studio / Label: Ministry of Sound UK Release Date: 26 Sep 2011. Of Discs: 3 disc(s) Studio / Label: Ministry of Sound UK Release Date: 13 Dec 2010. Disc 1 17 Wild Life (Nu:Tone Remix) 5.45 mins. Disc 1 11 I'm Alive 2010 5.34 mins. Disc 2 19 Nine Ways 7.46 mins. Disc 2 17 Doctor Pressure (Miami Sound Machine Vs Mylo) 3.24 mins. Various Artists : The Annual 2007 CD (2006)Title: The Annual 2007 Artist: Various Artists Genre: Dance|Compilation Duration: 152 mins Format: CD / Album with DVD Type: CD No. of Discs: 3 disc(s) Studio / Label: Ministry of Sound UK Release Date: 30 Oct 2006. Various Artists : Ministry of Sound Presents Garage Classics CD (2008)Title: Ministry of Sound Presents Garage Classics Artist: Various Artists Genre: Dance|Compilation Duration: 215 mins Format: CD / Album Type: CD No. Of Discs: 3 disc(s) Studio / Label: Hed Kandi UK Release Date: 07 Aug 2006. Disc 1 5 Moving Too Fast (Freemasons Full Vocal Mix) 5.05 mins. Disc 1 8 Never Give Up (Soul Avengerz Mix) 3.37 mins. Disc 1 16 Coracao (Denis & Jerry New Bangin 2005 Mix) 4.48 mins. Various Artists : Trance Nation: The Collection CD (2010)Title: Trance Nation: The Collection Artist: Various Artists Genre: Dance|Compilation Format: CD / Album Type: CD No. of Discs: 4 disc(s) Studio / Label: Ministry of Sound UK Release Date: 22 Nov 2010 Explicit Lyrics: Yes. Various Artists : The Chillout Session CD (2006)Title: The Chillout Session Artist: Various Artists Genre: Dance|Compilation Duration: 154 mins Format: CD / Album Type: CD No. of Discs: 2 disc(s) Studio / Label: Ministry of Sound UK Release Date: 30 Jan 2006. Various Artists : Ministry of Sound: Chilled - 1991-2008 CD (2008)Title: Ministry of Sound: Chilled - 1991-2008 Artist: Various Artists Genre: Dance|Compilation Duration: 230 mins Format: CD / Album Type: CD No. Various Artists : The Sound of Deep House 2 CD (2014)Title: The Sound of Deep House 2 Artist: Various Artists Genre: Dance|House Format: CD / Album Type: CD No. of Discs: 2 disc(s) Studio / Label: Ministry of Sound UK Release Date: 19 May 2014. Clubbers Guide 2008 - 3 x CD Sth African Promo - 60 Massive Tracks !! !